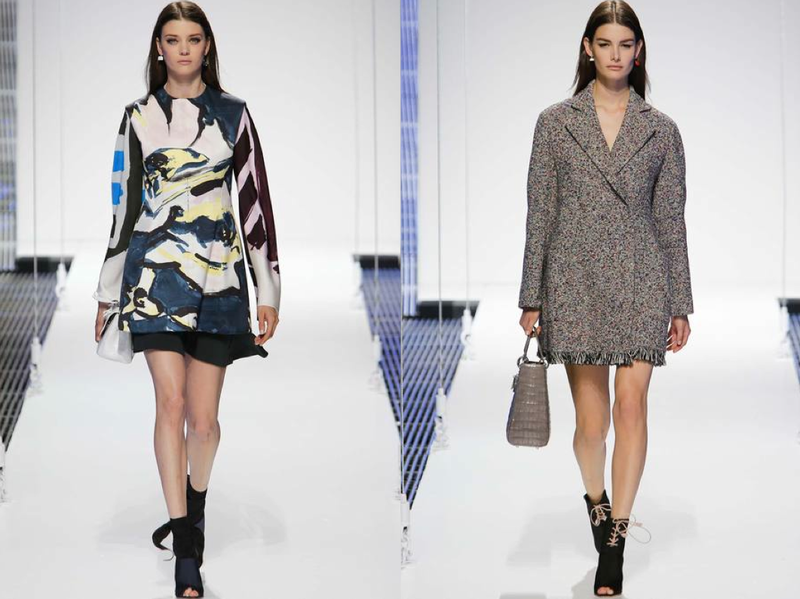 Dior cruised into Brooklyn’s Navy Yard for its Resort 2015 runway show on Wednesday evening, shuttling 1,000-plus of invitees across the river via Dior-branded boats. 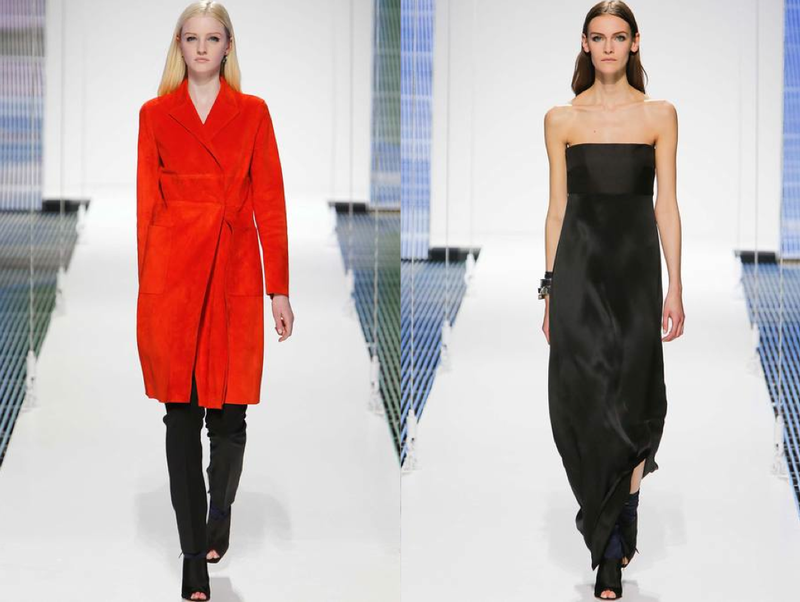 Notably darker and more tailored than his Resort 2014 collection, containing a lot more ready-to-wear black pieces to ground it all, the 2015 collection, of course, is clean and modern, Simon’s forte. With the notion of ‘cruise’ and elements like shom fur, the particular look spoke to the season-less way we shop today. Chic has no season. 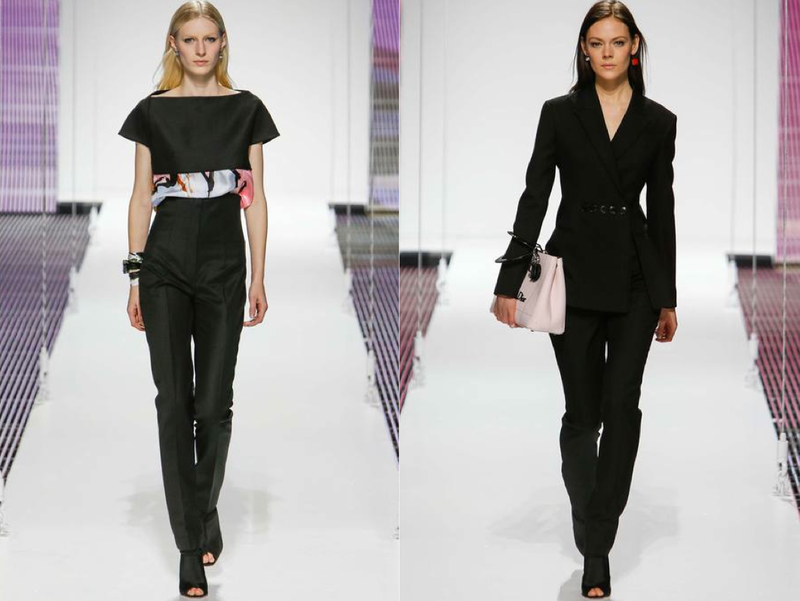 Freed from the minimalist restraints of Jil Sander, he has used the Dior runway to create urban tribes of woman who freely mix silhouettes, colors and prints. Often, the most commercial of collections – Resort sits on the sales floor the longest and Simons seemed to take that into consideration with his sixty-six looks. Alongside the raffia were light wools, and lace-up booties that could work no matter what temperature it was outside. The Dior woman would certainly travel farther than the Brooklyn Navy Yard to snag a pair. Using proportions quite a bit to get his point across – skirts were ultra high, some hitting the top of the rib cage, while many jackets had a long, tunic-like silhouette. The silk camisoles in graphic, abstract prints or draped and layered tops with a boxy geometric fit were a few unforgettable highlights. The show played as a treatise on modernist French chic combined with Belgian Iconoclasm delivered with an American homage, but designed for a global clientele. 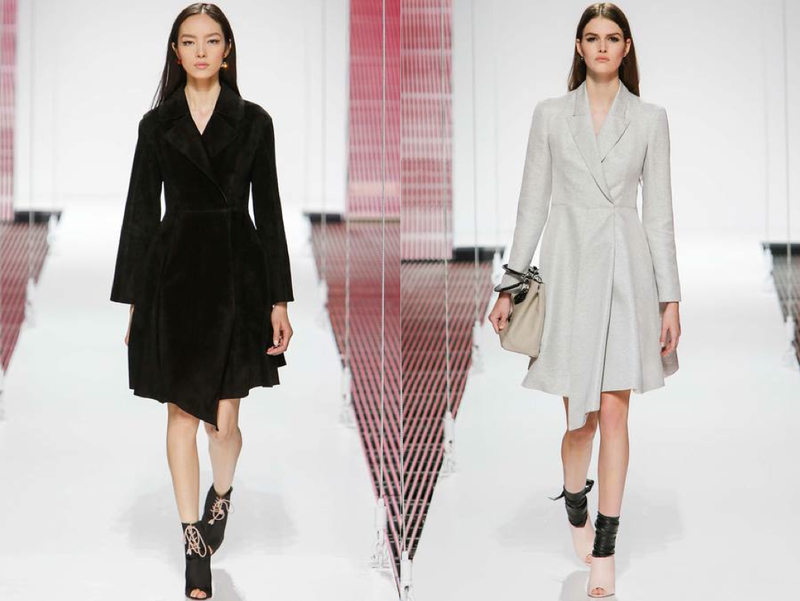 It appeared that the white runway with a mirrored backdrop was very minimal than usual for Dior, which made the buyer friendly clothing standout in their own individual right. Raf Simons used the French woman’s favorite accessory, a silk scarf as a major inspiration for the collection which included artist prints, organza paneled dressed, high-waisted trousers, and even a sartorial take on the ugly shoe trend – Raf’s version are Teva-like sports sandals with scarf straps. Prints, which were the main focus in the line-up, were soured either from the house’s archives or created especially for this presentation. This time around we can finally see the direction where Simon’s plans to take Dior as creative director, and there’s nothing to dislike about it. What are your thoughts about the collection? Tell me everything, leave nothing out.